Driving up the highest hill of Pang Mapha District on a truck for a sunrise view at 5AM was a reminder of how unbeatable having a bird’s-eye view on one’s life is. As night stars began to fade away giving in to sunrays breaking through lower mountain peaks and fluffy clouds covering valleys, I was reminded of life’s stunning brightness. Since setting out on my journey, I’ve been on such a high that I forgot what it feels like to feel down. Over the last couple of weeks I felt a decline in my mood. As is usually the case, especially when expectations are involved, a combination of factors played a role in my sudden mood change. One disappointing factor was a full week of a pay-to-volunteer program I signed up to do. Paying to volunteer is a tricky business since one would like the opportunity to help financially, but also in hands-on ways. As I’ve learned, it all depends on the organization itself and whether or not they need hands-on help, or mostly financial help with positive post experience word of mouth. A very challenging balance for any good-cause organization, and one that is hard to meet. While the Journey to Freedom project has a misleading write up on the Elephant Nature Park’s website and it gives the impression that volunteers will actually be doing something that helps both the elephants and the Karen hill tribe – it was still a week to remember, although that might be for reasons other than first expected. 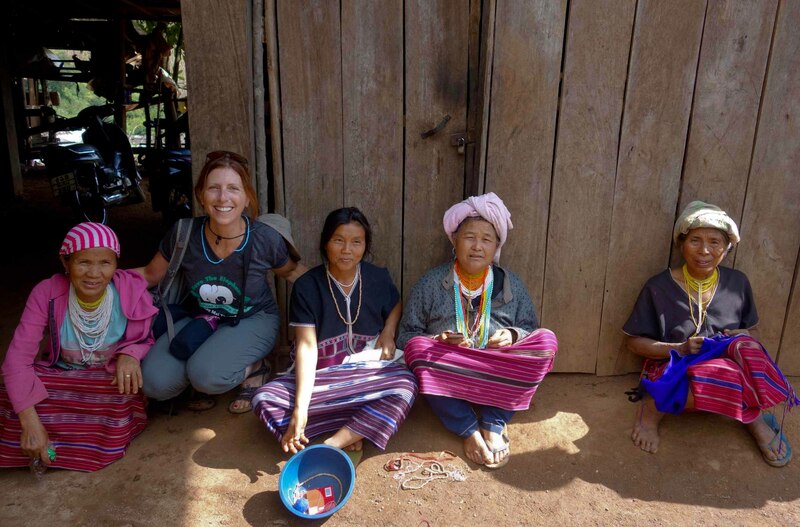 This Karen hill tribe is located amongst the mountainous region west of Op Luang National Park and about an 8-hour drive from Chiang Mai city. 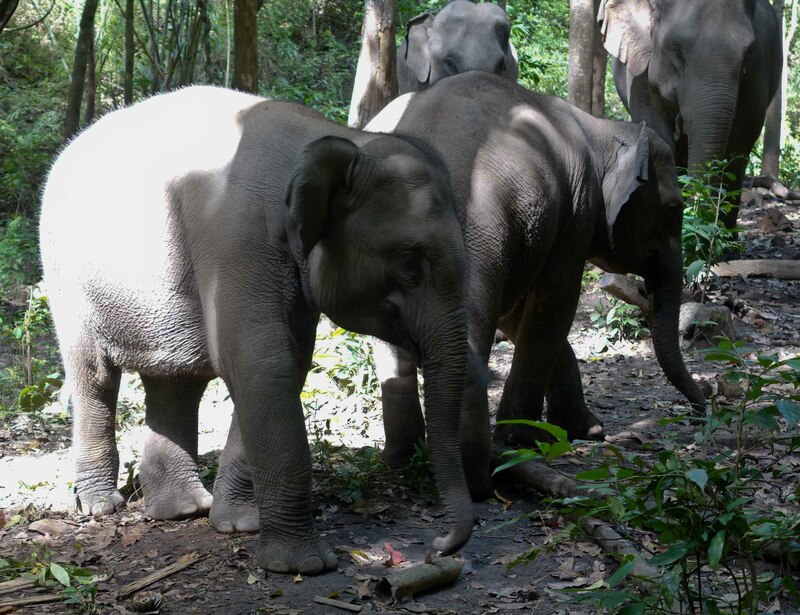 There are five elephants living in the surrounding jungles–three have been retired from trekking or other tourist-based activity, while two twin babies were born in the wild. 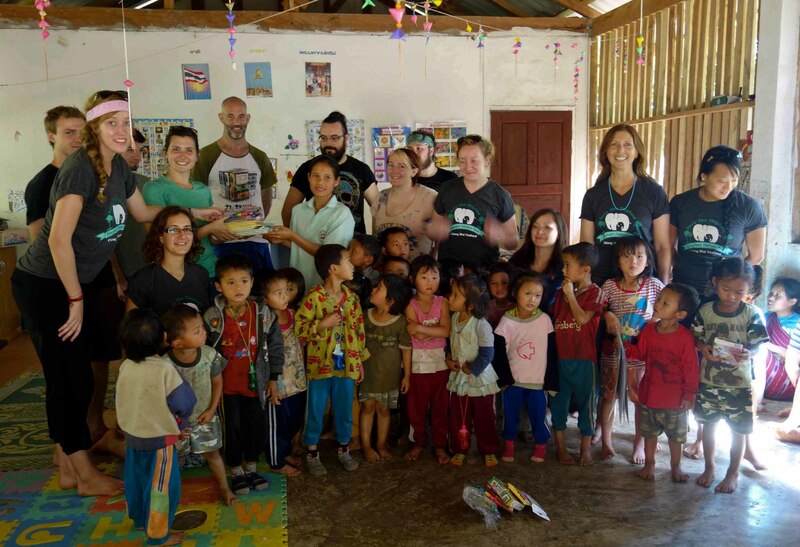 This program is allowing the elephants and their mahout’s tribal families a good source of income and to foster new relationships between the villagers long-lost tradition with elephants. In my eyes, these are very noble and important causes. Our leaders for the week were Thai and completely capable, as well as friendly and enjoyable. The fellow tourists sharing this week were very caring towards each other and for the plight of the elephants. The predicament of the elephants is complex and involves: Laws pertaining to wild vs. domesticated elephants, the disappearance of their natural habitat mostly by logging, their use/abuse by the ever-expanding tourist industry, and also the ever-changing socio-economic lives of the villagers themselves. These tribes are caught in an in-between place: On the one hand the developing world is infringing upon them forcing change, but without much infrastructure. 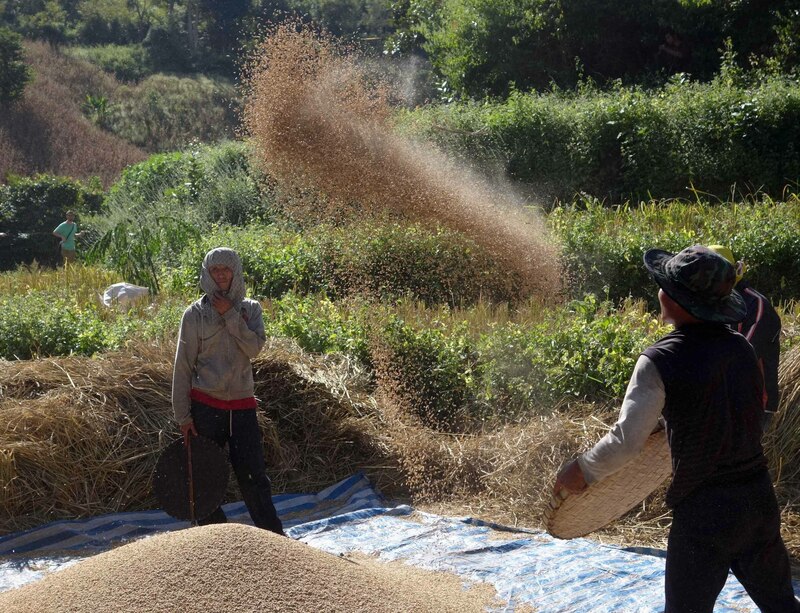 And on the other hand, there is an increasing loss to their agriculture-based economy. 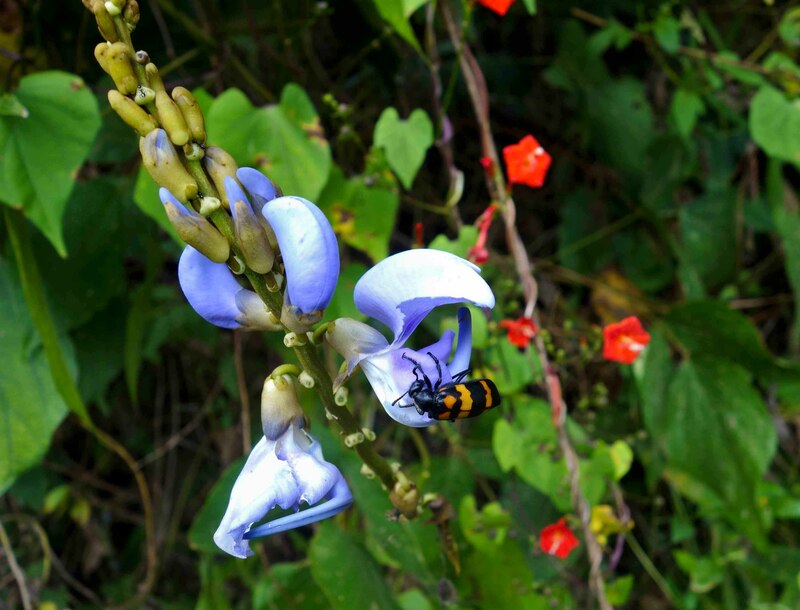 The program sells itself as if you will have the opportunity to trek with wild elephants in the jungles, which you do once. 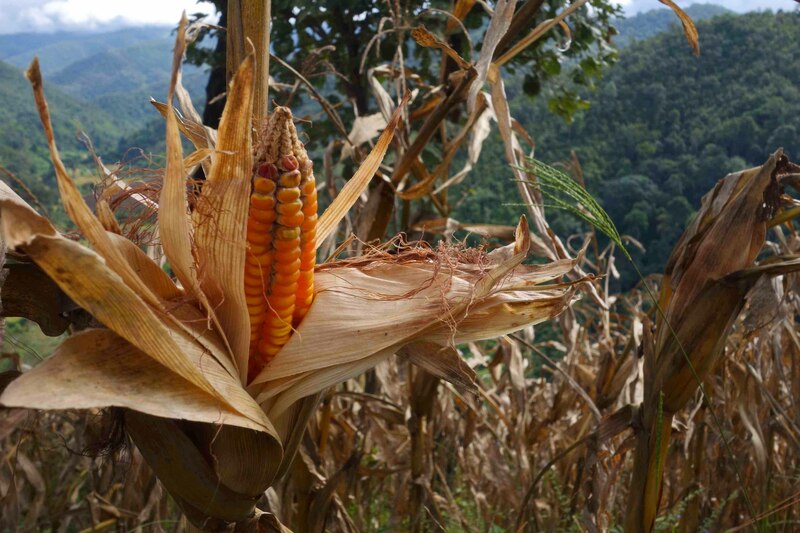 But most other days, only a few activities are peppered throughout, such as, weaving with tribal women, harvesting corn, and very unorganized kindergarten school visits. 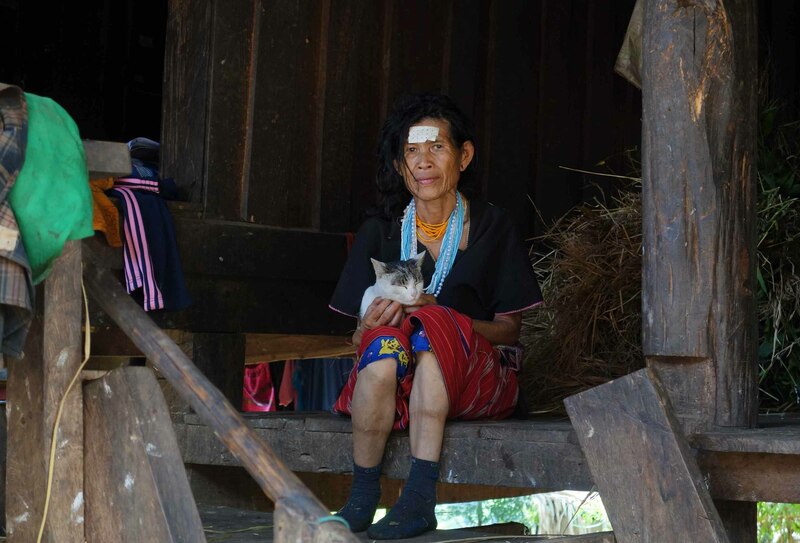 Once you arrive at this Karen village, you remain there for the rest of the week, living and sleeping with other travelers under one big hut, and sharing in all the activities. 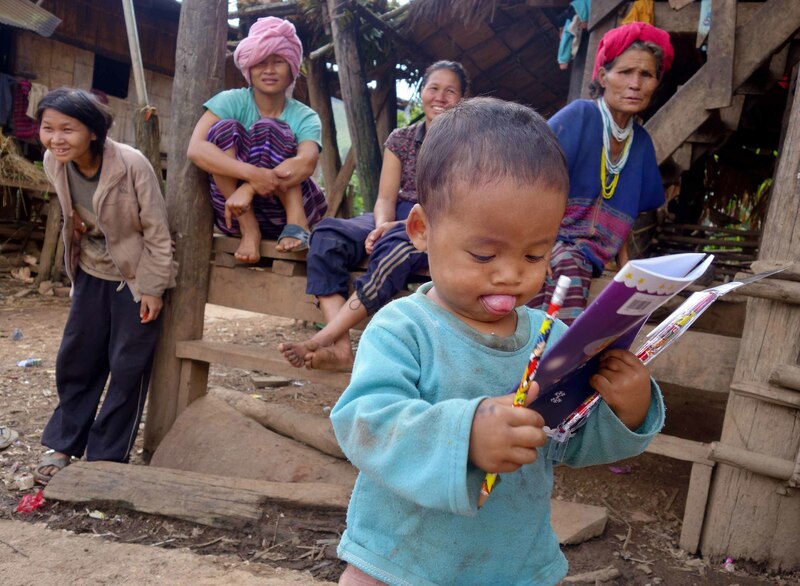 Having spent time in a Hmong village in Northern Vietnam, and a Khmu village in Laos, I expected that a weeklong visit would foster deeper interactions with the tribes people. I felt more of a Falang than I usually do, and for the elusive purpose of exposing the villagers to us and us to them. None of this was successful in my eyes, since I didn’t learn much about them, their culture and religion or they about me. It felt like a lost opportunity and one that I hope not to repeat. It left a sour taste in my mouth and darkened my mood. That said, there was a silver lining: An immersion into a non-sugar coated, realistic and complex list of issues facing the villagers’ way of life and of these wild animals’ current fate. In contrast to this lost in translation week that got the best of my mood, this current week has unfurled the morning clouds to shine. What a glorious morning to remind me of the last few extraordinary days surrounded in glorious nature. Located in Pang Mapha district, the Cave Lodge sits on the Nam Lang river just 8 km from the town of Soppong. 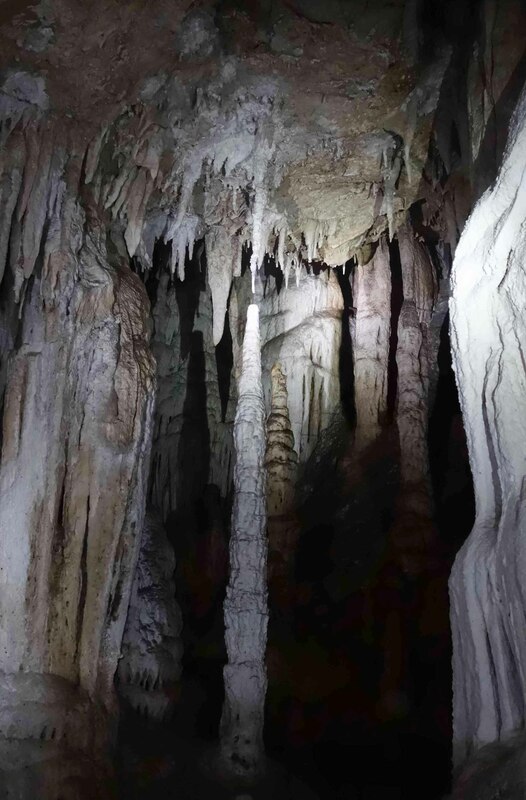 It is just near an enormous scenic cave, Tham Lod, which has incredible stalagmites and stalactites as well as 1,700-year-old teak coffins known to belong to the Lawa people (pre-Thai). On one of those magnificent days, Angkor, our guide, led us through three caves as well as perfectly manicured rice and corn fields by Lisu hill tribes people, an Animistic tribe that decorates its fields with different flags (possibly to deter evil spirits from setting foot on the rice and preventing a bad harvest). All day along the way, Angkor kept picking clumps of fennel, lemongrass, Thai basil, ginger, turnips, papayas and more-his knowledgeable fingertips were gifts and treats for all perceptible sensors. As we entered the first of three caves, Fossil, we were challenged by a steep slippery and deep downhill climb in and around limestone rocks. Followed by Waterfall cave, where our bellies slid through tiny apertures created by the river passing through them until reaching a 30-meter waterfall. Besides the thousands of bats quietly napping upside down, there was a lot of other life around us, such as frogs, many spiders and silk worms. The third and last cave was Christmas. The hike to get here was strenuous on the rolling hills and with the heat, but all worthwhile when we finally reached the cave. Steep bamboo stairs led us down into a large hall of white shaped stalagmites and stalactite formations resembling snow. 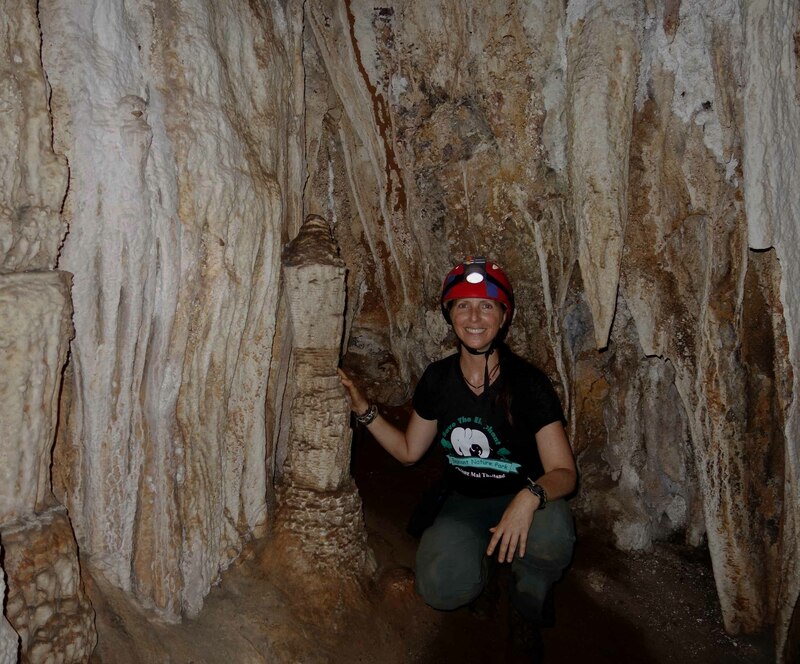 Some of the stalagmites would resonate as an organ. Turning off all of our lamps, we stopped to be in it for a few moments, and an incredibly calming darkness set in, bringing us all a sense of peace.